Technology within the construction industry has supported a significant shift in the creation of smart builds and cities. We take a look at five emerging technologies which will transform the industry for years to come. Increasingly utilized by construction workers and architects in the design of homes and commercial buildings, the Oculus Rift virtual reality headset is making waves after previously being made popular through the gaming sector. 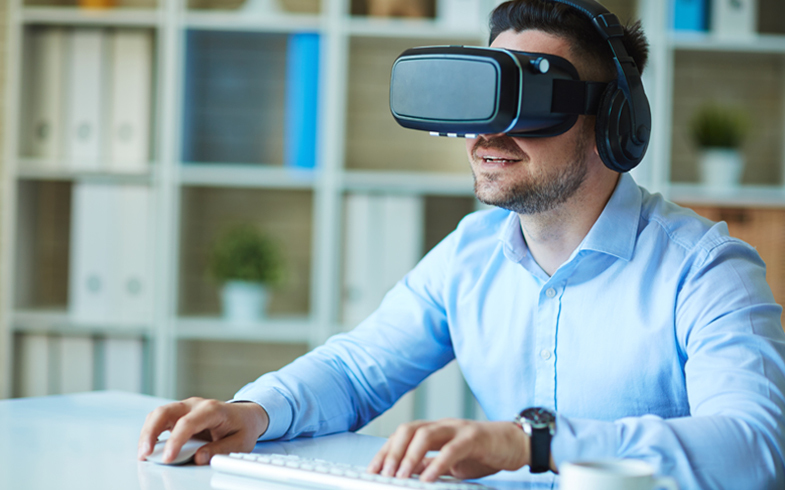 With integrated headphones, users are submersed into a 3D experience, allowing users to see the inner mechanisms of model buildings, inspect materials within a virtual reality setting and interact with builds before they are constructed, allowing teams to ensure swift, informed decision making. Released in 2016, the Microsoft HoloLens will become a dominant force within the construction industry. Utilizing Windows 10, the technology is able to map environments or rooms, allowing users to view holograms and incorporate objects into the real world. Technicians or architects can utilize the technology anywhere in the world. By using Skype, users are able to ring for advice regarding how to fix potential issues by showing fellow workers parts of the machine or building which needs resolving by walking around the model and providing a closer look. The user can also order new parts through the technology, so it can be effectively utilized for maintenance. Invented by technology company Daqri, Smart Helmets are becoming increasingly utilized to enable construction workers to work more safely and efficiently – effectively boosting performance through augmented reality. The helmets will also be compatible with BIM software. Incorporating a sixth-generation Intel Core m7 processor, the helmet is able to map the surroundings of the user, allowing users to share this information, in addition to capturing images and videos with a high-definition camera. Embedded technologies also enable thermal vision within projects, ensuring worker safety. Not much heavier than a traditional helmet worn on site and made for all weather conditions, Smart Helmets also enable workers to gain help and support remotely, reducing the time of repairs considerably, in addition to providing work instructions on site. Although already highly used within construction to capture updates on projects and survey at a more efficient speed than traditional surveying works, drones are set to become utilized further within construction and design, providing quicker, more accurate information. Drones can create aerial maps of potential sites and highlight any structural issues, allowing companies to budget and plan effectively, also reducing traditional costs. Drones have also become increasingly utilized to ensure and update stakeholders in the progress of new builds. Since its conception in 2014, the Internet of Things (IoT) is rapidly shaping the way in which technologies are enabling the construction sector to build smart homes and cities. As ForConstructionPros.com explained in a February 2016 article, the IoT means that machines can use sensors to monitor operating conditions, performance levels, or physical states. Using software, contractors can collect and utilize data including machine hours, fuel consumption, GPS tracking and idle time. Knowing this allows them to schedule preventive maintenance, determine optimal operating procedures, prevent theft and misuse of equipment, and more. The possibilities of IoT in construction will only grow as the technology continues to evolve.